For more than two decades, The Mavrick Law Firm has been providing legal services for businesses and entrepreneurs in Fort Lauderdale, Florida. 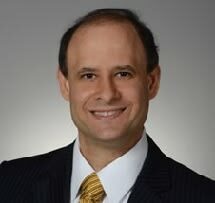 The firm defends businesses and entrepreneurs in labor and employment disputes, non-competition covenant litigation, handles various other litigation for businesses, offers counsel and guidance in real property disputes, and navigates clients through litigation involving trusts and probate. Having such a wide practice area, the law firm knows that your matter will be different from someone else's, even if the dispute is similar. Therefore, the team works with you to put together a strategy that addresses your concerns and goals. If you are a business owner, they show you options that may resolve an employment law dispute that avoids litigation. If you are a property or business owner, they may suggest changes in lease agreements and contracts that give you more legal rights or better protect your legal interests. Over the years, The Mavrick Law Firm has established a reputation for obtaining excellent results. In one case, the team proved that a non-compete agreement was invalid, thereby proving that their client, a startup business, had not violated the terms of the contract. The team also used their skills to successfully defend a physician's practice from claims of pregnancy discrimination and wrongful termination. To better serve you, the law firm accepts cases in Palm Beach, Broward and Miami-Dade counties. Mr. Mavrick has extensive experience in representing businesses who have legal issues with their employees. Mr. Mavrick has extensive experience in representing businesses with their contract claims, non-competition covenant claims, lawsuits alleging theft of trade secrets, and claims alleging breach of non-competition covenants. The Mavrick Law Firm has successfully represented clients in legal disputes involving breach of lease agreements and other real property contracts. The Firm has successfully argued federal and state appeals, and won reversals on behalf of appellants and won affirmances on behalf of appellees.